Our mission at eTech Merchant Solutions is to provide an innovative suite of business solutions, and a high level of quality service with professional, dedicated employees that increase the financial well-being of our clients. With that in mind we opened eTech Web Solutions, integrating your merchant account with powerful & customized websites. 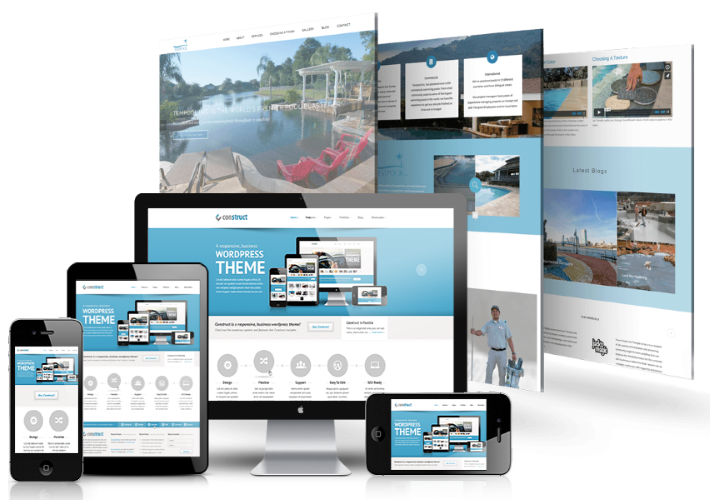 Using WordPress as our preferred platform, we have the flexibility to create uniquely captivating, fully optimized, and responsive web solutions. Welcome to your one-stop-shop for all your online business needs! We've made getting your complete online business solution easy & affordable! Our packages range from basic contact sites, to professional & executive power-sites. All completely customizable to meet your specific needs, and affordable with payment plans starting at $29.99 per month. Already have a website and would like to upgrade, or remodel it? With your DNS & Hosting Provider credentials we can do a FREE detailed analysis of your current site and build a custom package based on those findings. To best serve you we need your credentials to your DNS & Hosting providers. Your DNS provider is where you purchased your Domain Name, your “mywebsite.com”. Your Hosting provider is who you “rent” space on the web from, or where your website is being held, or hosted. Sometimes your DNS & Hosting provider is one in the same, as some companies offer both services. The best way to visualize it is to think of your home, your street address is your DNS (Domain Name), and your lot or piece of land is your Hosting Provider. The house on that lot, at that address is your website. Questions? Schedule a free consultation.